Diabetes among seniors is on the rise. The American Diabetes Association estimates that more than 25 percent of seniors in the United States have diabetes. The good news is that diabetes management is possible. The likelihood of success only increases for seniors when they receive support from a caregiver.If you are a caregiver of a senior with diabetes, there are a few simple tips you can follow to help you manage their condition. The important part of diabetes management is monitoring and managing blood sugar levels. Having too much or too little sugar in your blood can cause short-term and long-term health issues. The health issues are even more substantial and life threatening among seniors. Seniors with diabetes are more likely to have heart problems, have appendages amputated, and suffer from visual impairments. This is why diabetes management is critical to living a healthy life with diabetes. And with the help of a caregiver, successful diabetes management is even easier to achieve. Diabetes is a confusing disease that affects everyone differently. But with a few tips and tricks, you can help your loved one manage their diabetes. The first step in managing any medical condition is education. There are multiple online resources available to learn about diabetes. There are also support groups in every local community to help with coping. The ADA has a wealth of information and community resources available to those with diabetes and their caregivers. The other important part of educating yourself is getting to know how diabetes is directly affecting your loved one. You need to know how well they are managing the condition on their own and where they need help. You should know the red flags of mismanagement and how they appear in your loved one. Do they get cranky or tired? Do they have insatiable thirst or hunger? Are they losing weight for no reason? Do you notice that they are urinating more often than usual? Are they experiencing tingling or numbness in their extremities? Knowing the answers to these questions will help you spot when something is off with their diabetes management. Going it alone in diabetes management can be hard for your loved one. Even if they know you are aware of the disease, it’s easier for them to manage when they feel like you are making the same changes towards a healthier lifestyle. Practice healthy habits together with your loved one. Prepare healthy, diabetes-friendly meals that you can enjoy as a family. Plan group exercises that you can do together such as going for a walk or simple weight lifting routines. Half the battle of diabetes management is staying on schedule with medications and blood sugar monitoring. Help your loved one keep track through simple data recording. For example, you could help remind them when it’s time to take their insulin or to remember when they last ate. There are many helpful technology tools available that can help you track and record their diabetes management. If you have a smart phone, there are many apps you can download to record this data. If you do not have a smart phone, there are online options you can use for diabetes management and record keeping. Also, sometimes there is nothing more tried-and-true than paper and pencil for record keeping. Diabetes can successfully be managed. At Senior LIFE, we realize that seniors who have the support of family and friends are more likely to succeed in diabetes management. All Senior LIFE members are treated like family and receive health and supportive services to keep them living at home for as long as possible. From meal planning with a registered dietitian to physical therapy with a licensed physical therapist, Senior LIFE services are customized to meet the specials need of our members including diabetes management. We also offer medication therapy management. 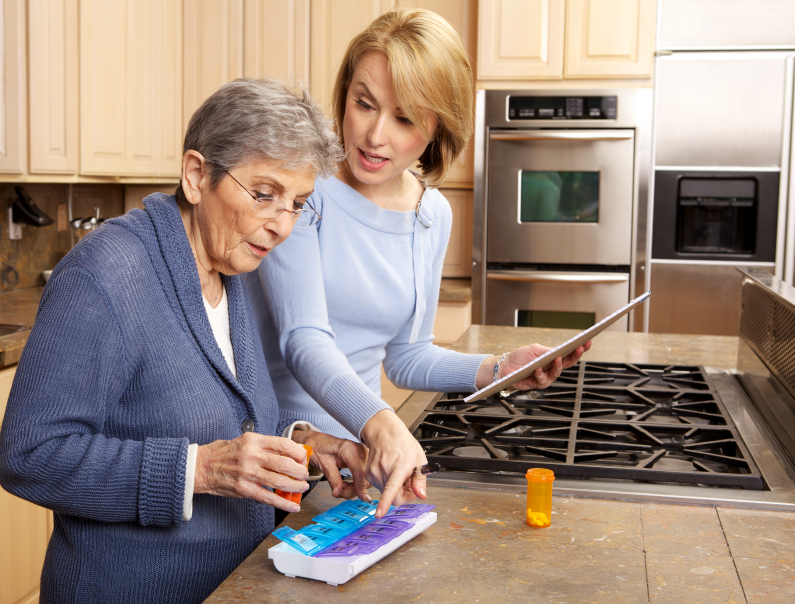 All medications are delivered directly to the home in easy-to-use, presorted packing with simple instructions for use. To find out if Senior LIFE is right for you or a loved one, visit the Senior LIFE nearest to you.